The full-length 'Wonder Woman' trailer just dropped, and fans couldn't be more hyped. June feels all too far away for superhero fans now that they've gotten a good look at the Wonder Woman movie. 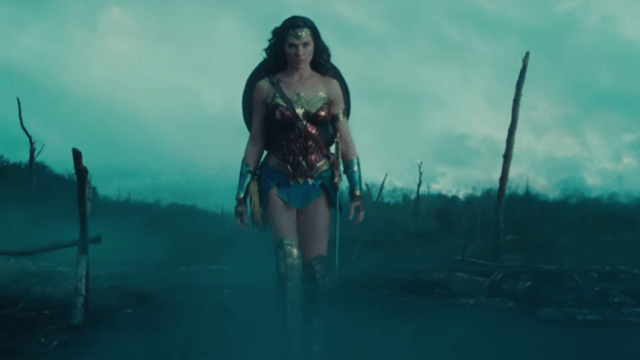 The film's fierce star, Gal Gadot, unveiled a thrilling new trailer on Twitter last night, and the reaction was pure rapture. Tracking Gadot's heroine from her origins as the Amazonian princess Diana—who definitely has a secret that sets her apart—the clip also introduces her male sidekick, played by Chris Pine, and sets her fight for global justice in motion. Did I mention that people were pretty hyped about this? Me: Watches new #WonderWoman trailer. Diana: "It's beautiful, who would wield it?" Hippolyta: "Only the fiercest among us could and that is not you Diana"
Just one more reason to look forward to summer.